Monday, 25th April, will be the 90th anniversary of the landing at Anzac Cove. The following poem was written by Banjo Paterson as an open letter to the troops in 1915.
and most with an average age in their very early twenties. It must be galling, to put it politely for those that laid down their lives so long ago, to find that their granchildren today are required to apply for visas in many of the European countries they aided. Lest we forget - expressions of gratitude are short-lived. Who'll come a-Waltzing Matilda with me?" Bless 'em all. Were there any ceremonies at the Anzac Bridge in Sydney? The ceremonies are held on April 25. I am pleased to say that the national day of remembrance is held on the actual day. It isn't reduced to "just another long weekend". It's the one day I am honoured and proud to be Australian. The sacrifices made will be remembered. The memory of those who made them will endure. It is the Soldier, who salutes the flag, serves under the flag, and whose coffin is draped by the flag, who allows the protester to burn the flag. I was privelaged to be in Gallipoli for the 80th Anniversary of the landing, and it will be a memory I will never forget, and I was lucky enough to bump into a couple of the veterans. I recommend every Aussie making the pilgrimage at least once in their life time, and pay their respects, and give thanks for the sacrifice that was made. Just do one thing for me, don't participate in the "Aussie Aussie Aussie Oi Oi Oi" rubbish at the Dawn service, I was embarrassed by that. It's a rememberance service not a sporting event, cheers. they sleep beyond englands foam. There will be a corner of Salisbury Plain that remembers on Monday. Of the two dates per year I rise/am already up pre-dawn I make it a point to hear the Anzac Day service. The trumpet's mournful Last Post invokes a poignancy only imaginable, compared to the feelings evoked in those who've actually lost comrades. Ever relieved not to experience the same. Interesting thing in the papers. 75% of those polled reckon they'd take up arms to defend their soil. 25th April 2005. 90th anniversary of the first landings at Gallipoli. It is not only the ANZACS we remember today. Our heroes of Gallipoli have passed into history along with all but the very last of their comrades from WWI. We remember those who remain forever in the valleys and ridges of Gallipoli, on the hills of Palestine and in the fields of France and Belgium. We remember those who lie in the desert at Bardia, Dema and Tobruk, in the mountain passes and olive groves of Greece and Crete and in the hills of Lebanon and Syria. We remember those who are buried in the jungles of Malaya and Burma, in New Guinea and the islands of the Pacific and we remember those who fell on the soil of their own country in our own far north. We remember those who lie in unknown resting places in almost every land, those who met their fate in the air, and those whose grave is the sea. 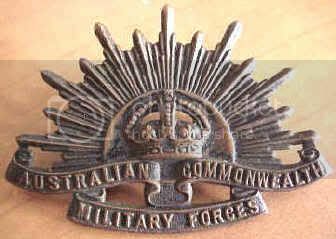 Especially we remember those who died as prisoners of war, far from their homes and families and we remember all the brave men and women who died as a result of service in Malaya, Borneo, Vietnam, the Gulf and Afghanistan. We remember all those service men and women fighting today in war-torn countries and pray for their safe return. Australia sits at the lonely top of my list of admired nations and people. It is a culture of good-natured, fair-minded, fun-loving people whose home is a mystically beautiful land of wonder. Australia has proven itself a faithful and constant ally since WWI, always doing more than her share to resolve problems the world has created for her, while creating none of her own. Virtually everyone in the world agrees: It's a pity there aren't more Australians. God bless a great nation on this special day. Respect and cheers to the Kiwis, too.